LG Optimus 3D P920 Charging Ways Charging Jumper Here is the solution for LG P920 Lite Not Charging problem like there is No Charging indication shows on the display when the battery charger is being plug-in. 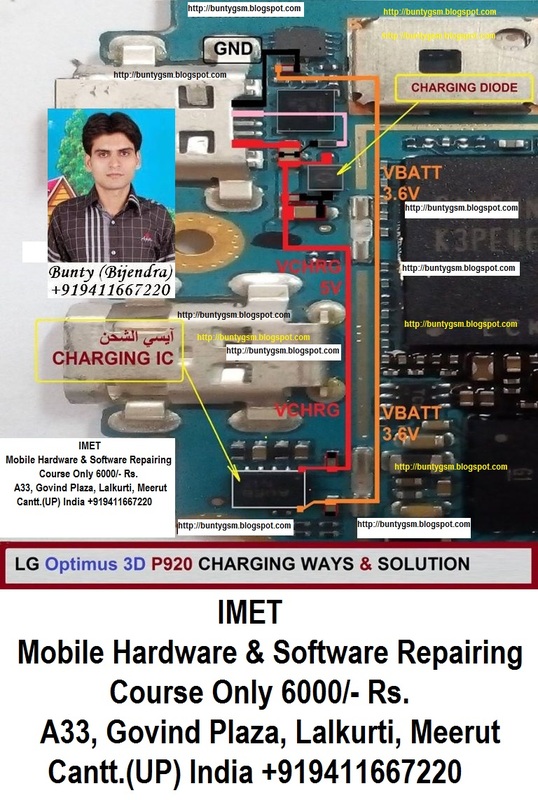 This problem is may caused by a faulty charger or a faulty components on LG Optimus 3D P920 PCB board. This problem may sometimes happens if the device suffered wet or water damaged or just exist.